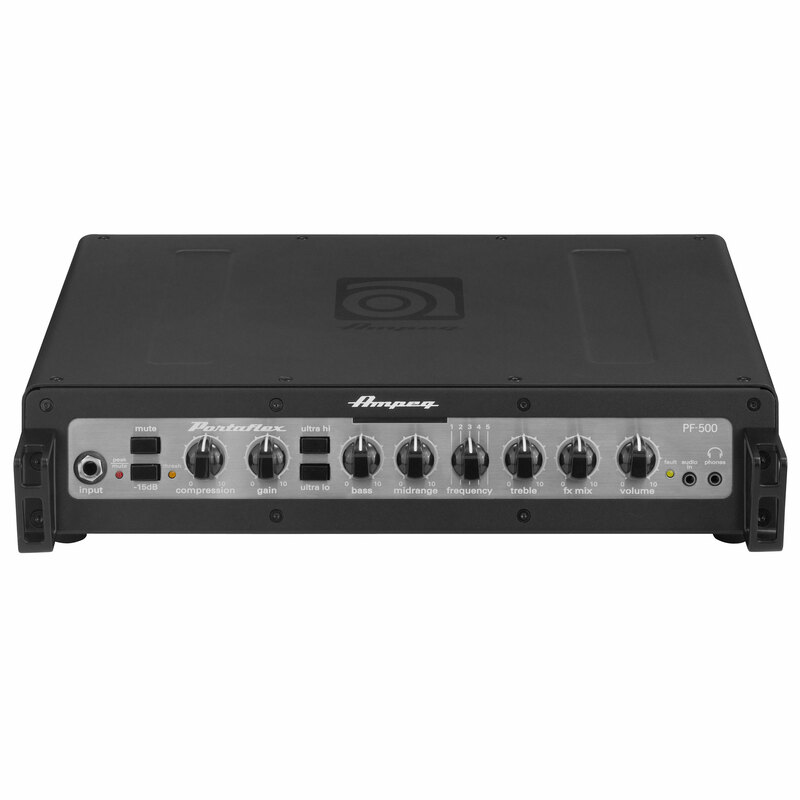 The Ampeg Portaflex PF-500 bass head amplifier delivers 500-Watts of power from an ultra-compact design, providing pure Ampeg tone in an extremely portable package. Tone controls and gig-friendly input/output options provide ultimate flexibility. Pair it with Ampeg's PF Series flip-top cabinets for the vintage styling and portability of the iconic Portaflex originals. 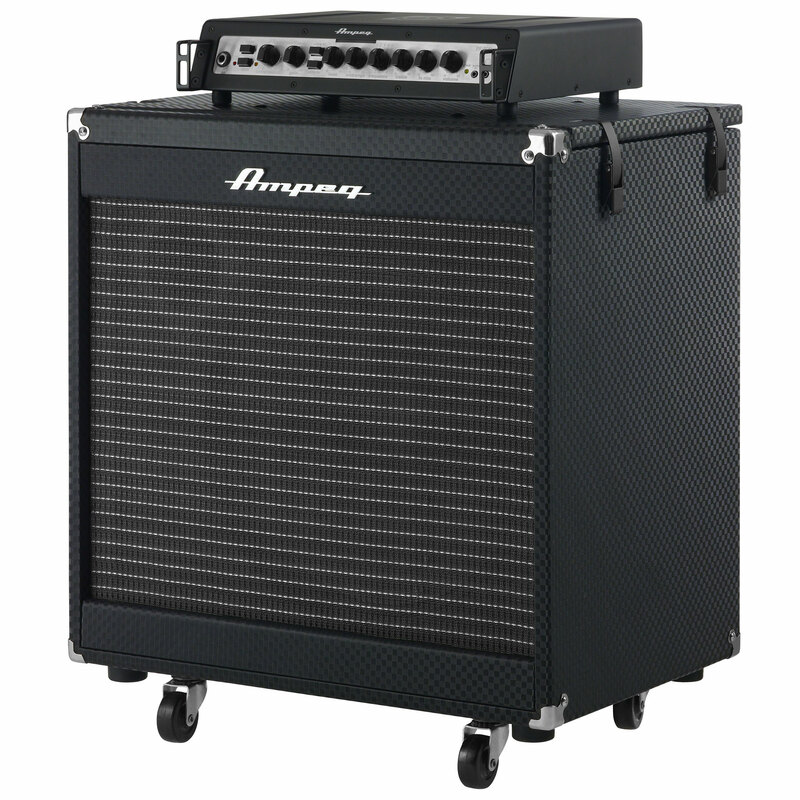 The tone stack on the Ampeg PF-500 amp provides an array of tone controls for shaping your tone. Bass, mid, and treble controls come standard with a 5-position mid switch for finding the perfect midrange level for your sound. Ultra Hi/Lo boosts add even more EQ options, and an onboard compressor keeps your levels in control and your tone punchy and tight. 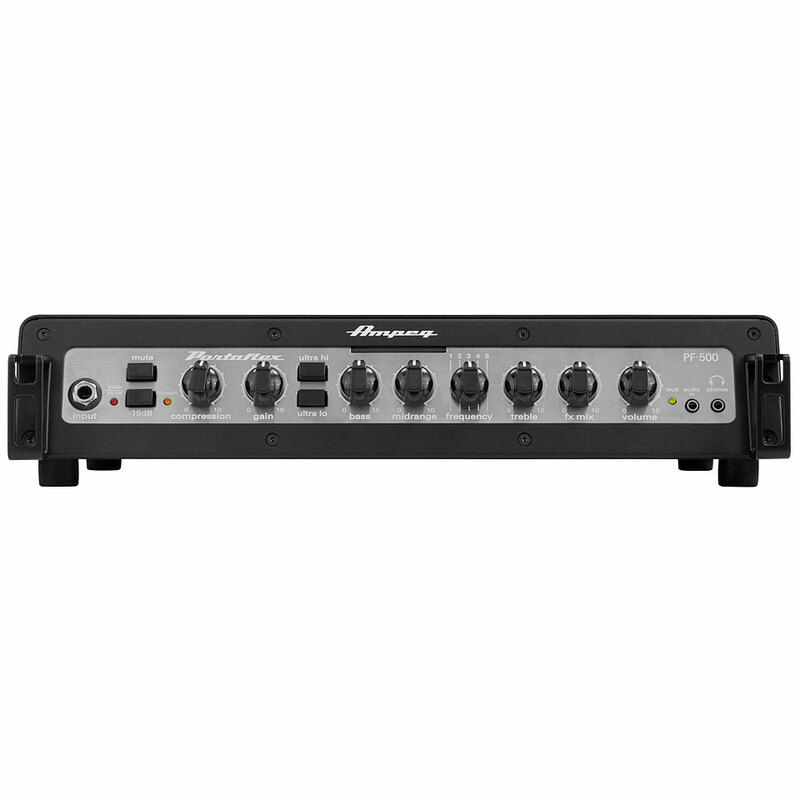 Either gigging or in the studio, the Ampeg PF-500 features a balanced direct out with pre/post-EQ selector, -40dB pad, and ground lift. 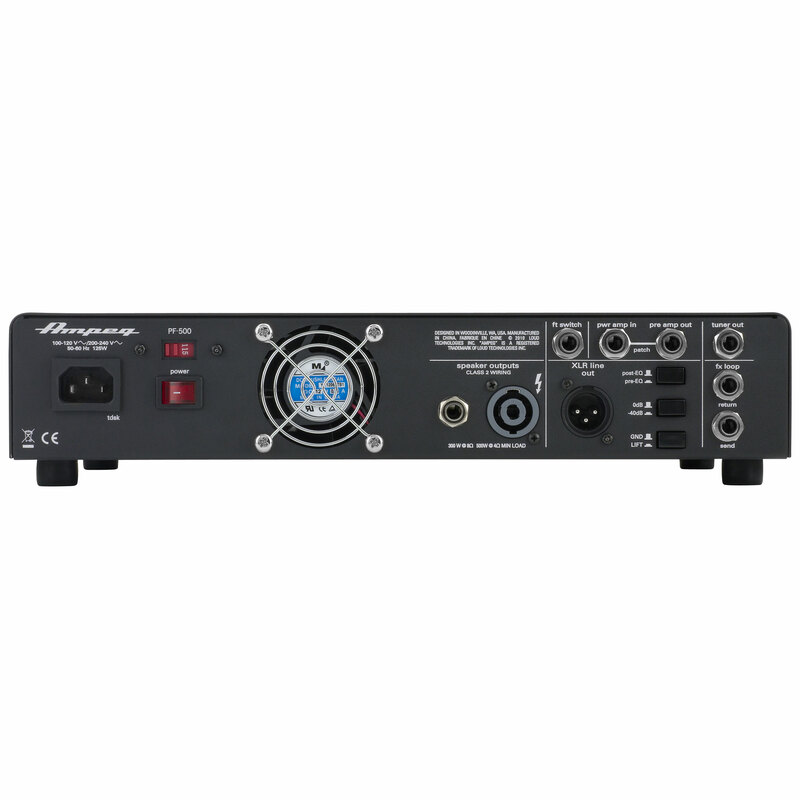 An effects loop with dedicated mix control is switchable with the optional Ampeg AFP2 2-button foot switch. Inspired by the legendary B-15 Flip-Top, the PortaFlex series has the same BlackDiamond Tolex, Front grill, and Flip-Top function. Both of the high power PortaFlex Tops with the Class-D power amplifier are not only ultra-light and compact but also have useful features such as a limiter, DI and FX loop. Creat your own "perfect match"! Tops and speakers can be obtained seperately and can of course be individually mixed and matched to fit your own taste. Absolutely ideal for someone who is traveling from gig to gig, just lift raise the top panel and stow the accessories like cables etc. in the inside of the amp! Enough power & low. Can handle the low B (something which can't be said of the PF 350). And I love the 5 kg of it's weight. We don't have any manufacturer information about delivery time. 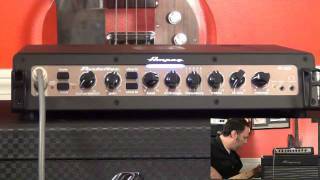 · Show all articles of the brand Ampeg.